Located east of US-91 (N. Main Street) between East 2200 North and East 2500 North, in North Logan. At Cache Valley Hospital, we offer advanced medical technology, 24/7 emergency care and a new, modern Women's Center. Our Women's Center is opening in the spring of 2017 with spacious 400 sq. ft. labor and delivery rooms and state-of-the art technology. Our caregivers provide a warm, compassionate and safe experience for mother and child. Cache Valley Hospital also offers advanced joint replacement surgery performed with robotic-arm assisted technology that provides a unique option for more accurate joint replacement. 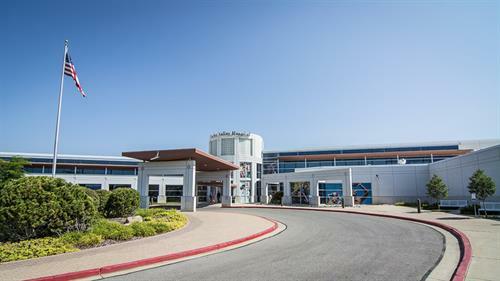 It is our Mission to provide high quality, patient-centered and cost-effective health care that exceeds the expectations of each individual who enters Cache Valley Hospital. Fully-staffed emergency room offers care 24 hours a day, seven days a week. Diagnostic imaging services include Radiography, MRI, CT Scan, Ultrasound, Fluoroscopy & Mammography. Full-service laboratory handles diverse testing, processing, referral and reporting. Physical and Occupational Therapy - partnering with Mountain West Physical Therapy. Services include Infusion Therapy, Wound Care, Hyperbaric Oxygen Therapy, & WorkSystems.